Spiral brushes - Wöhler Bohemia s.r.o. 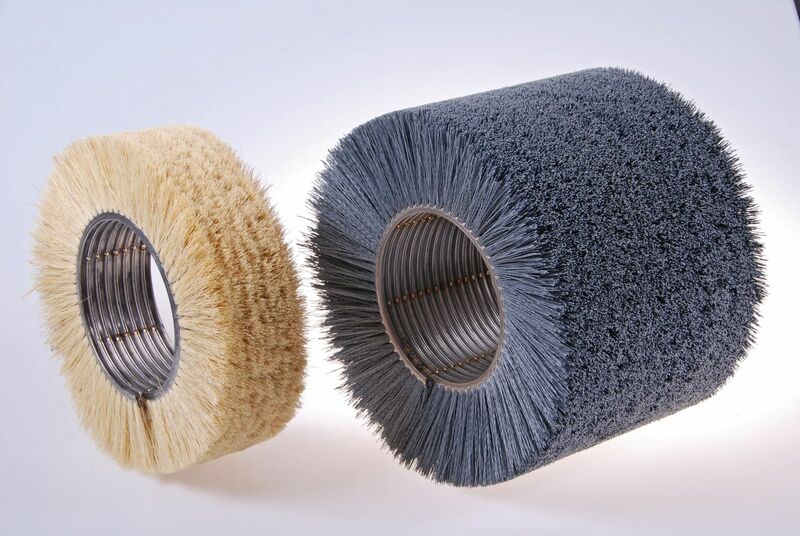 Degreasing and pickling lines are equipped with these kinds of brushes. 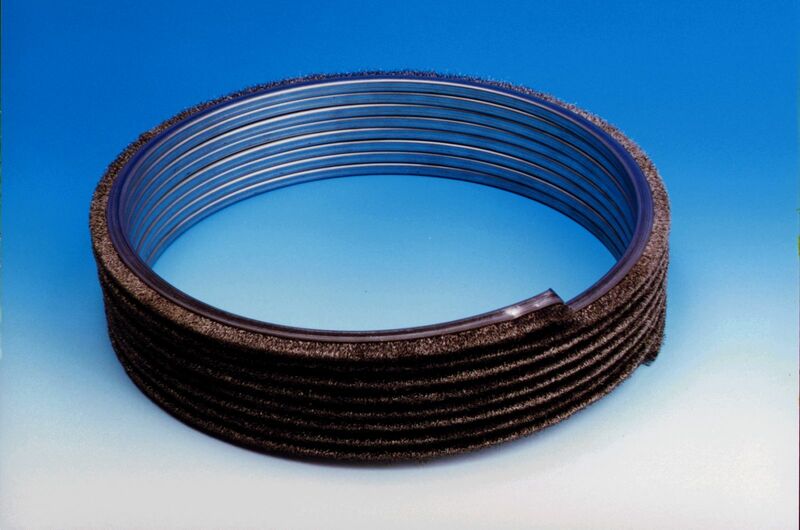 The brush is wound onto the shaft in spirals or it’s delivered in the form of individual components – packets, whose individual threads are usually welded around the perimeter 6 times so they form a compact unit which the customers fit onto the shaft themselves. 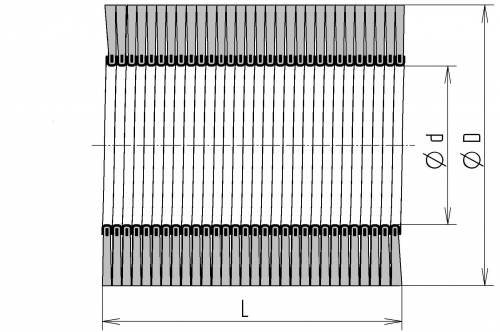 These packets are usually used in situations with large distance between the producer and the customer so it’s difficult to send for shaft winding. On the contrary, direct winding of the spiral brush onto the shaft is applied when it’s easy to supply the shafts from the customer to the brush producer. These packets replaced the former method of delivering loose spiral brushes (unwound onto the shaft and unfixed by welding the spiral brush’s individual threads). 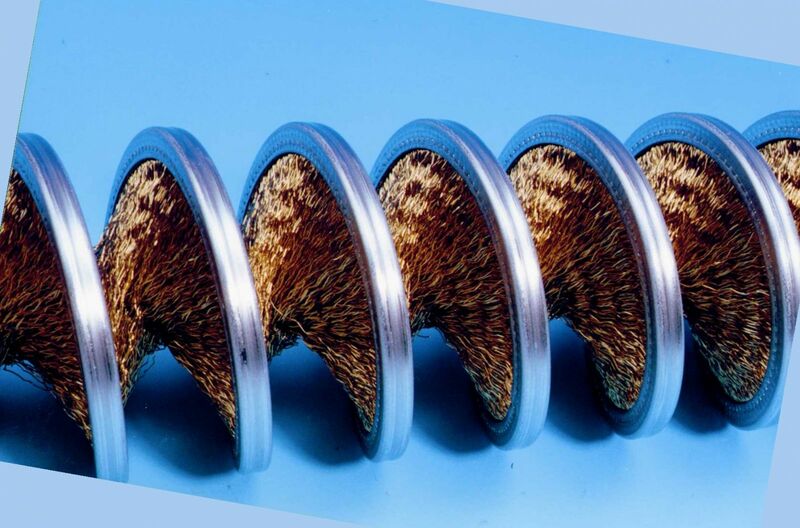 When dispatching loose spirals, the brush was inclined to become damaged during the transport and also during the customer’s self-assembly process of the brush onto the thread. Assembly was too difficult and by all means of a lower quality which reflected on the brush’s lifespan. Material is chosen according to the brush’s use and generally, it can be claimed that it’s possible to use any brush making furnishing material. Focusing on use within steel industry, and mainly on steel sheet and non-ferrous cold rolled metals production, we will only be concerned with certain types of furnishing material. 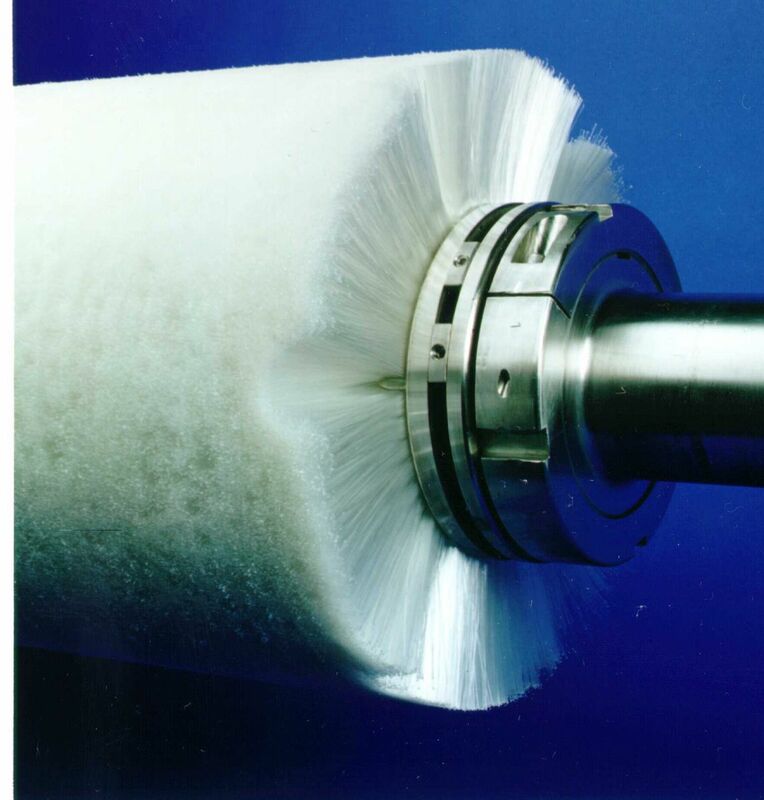 If the roller brush is used in a degreasing line, meaning that it only helps to mechanically remove grease and dirt from the line’s surface, the polypropylene or polyamide fibres are then used as a furnishing material. 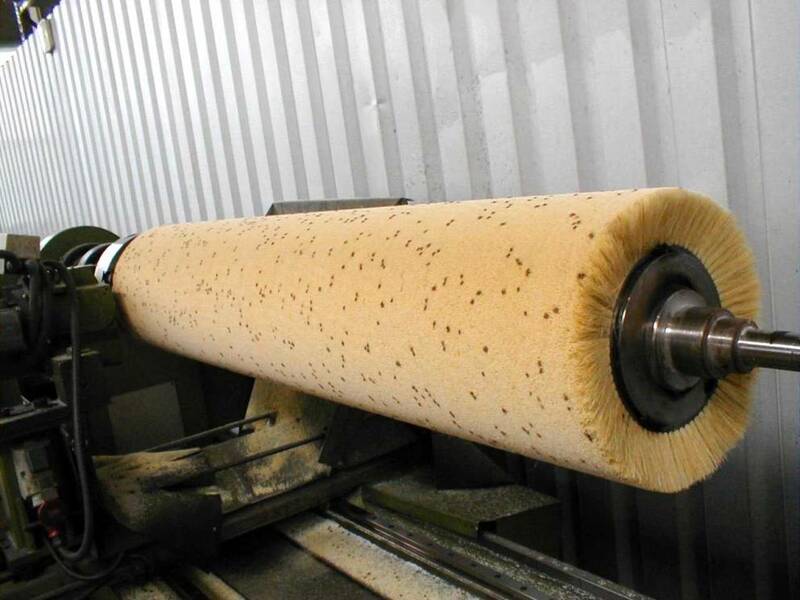 The fibres are usually enclosed in a common steel band because the chemical conditions in a degreasing bath are not aggressive enough to be able to damage the brush.